One taste of this delicious gluen-free and dairy-free srawberry milkshake and you'll know this will become a family fav. How about making this fresh strawberry milkshake for your next family movie night or for a quick morning breakfast? Place all ingredients in blender and add ice (purified water) to the 2-cup level. Blend until smooth. Enjoy! 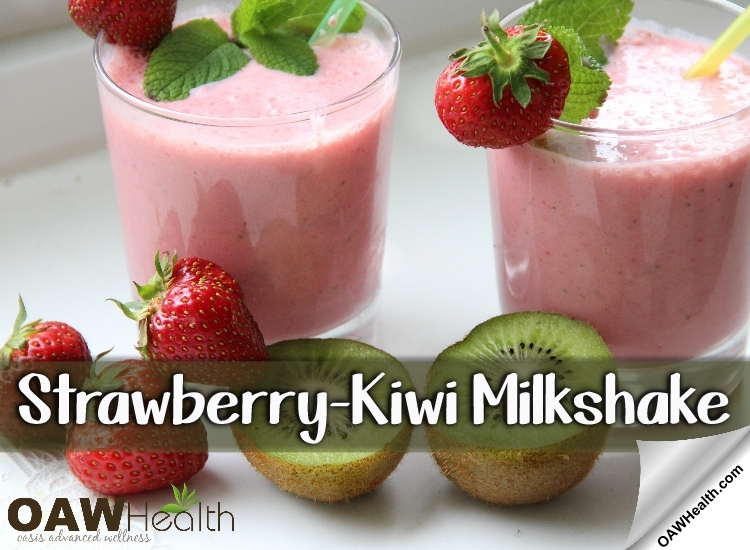 Note: Pre-freeze the strawberries and kiwis for a really cold milkshake.